Keep an eye out on the Iron Works blog for the latest news, videos and events in the coming months. We’d love to know what you all think, don’t be shy, leave us your comments. 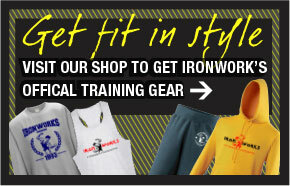 Click here to visit the Iron Works You Tube channel.